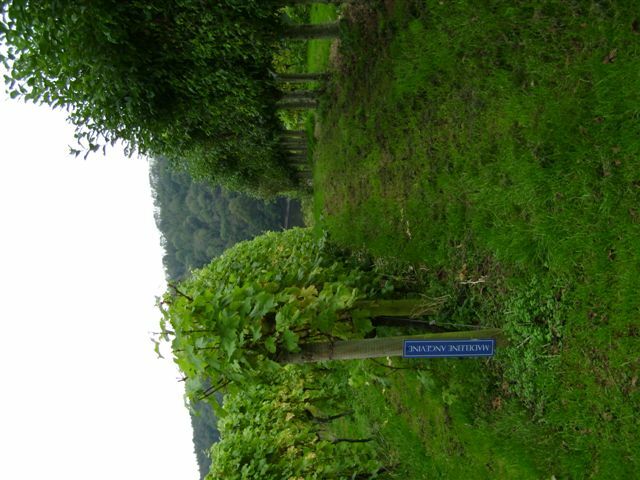 Our jaunt to the southwest of England to see vineyards on Saturday 15th October – a late summer day was fine and seemingly warm & sunny – luckily for us, especially for the 320 miles round trip! Having spent part of my childhood in south Devon, memories of many postcards from those old summer days often included postmarks saying “come to sunny Devon”, so my travelling companion and I were pleased to have chosen a bright afternoon. Although we had been to the Wraxall vineyard near Shepton Mallet, Somerset late in September, I gathered from Jacky Brayton there that she reckoned this year’s harvest was possibly one of the worst for about 20 years. Anyway, from a driving aspect, we thought it best to start our visit at the furthest point away first – so we found our way to Totnes and then simply followed the tom-tom (known as crazy daisy) directions along the tiny narrow leafy lanes (typical in south Devon) through to the village of Ashprington. On turning the corner, from the centre of Ashprington, uphill towards Sharpham vineyards, we gave a lift to someone on their way to the Sharpham apple pressing event, being held somewhere in the Sharpham Estate. 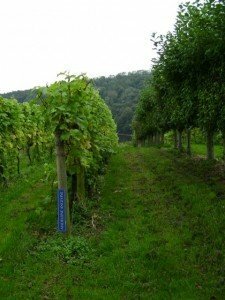 On our approach to the Sharpham winery, we could see the river Dart which borders the 10 acre vineyards within a south facing microclimatic mini-peninsula. The four grape varietals planted are: Madeleine Angevine – a Muscat type offering long gobs of fruit with a crisp acidity, Phoenix – a naturally disease resistant varietal full of fruit and a crisp finish, Dornfelder – a source of good red and rose wines in England & Pinot Noir – the classic red grape from Burgundy showing generous round plumy fruit and a dry finish, which has been a great success at Sharpham. 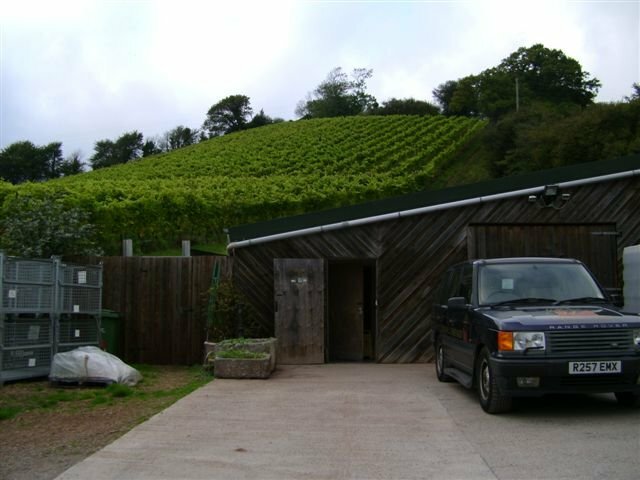 The Sharpham winery produces two sparkling wines (1 white and 1 pink), four white wines, one rose and three reds. Vineyard tours via the “red route” take about 2 hours and include samples of six wines and 3 cheeses (from and made in the adjacent dairy) outside the winery afterwards. After leaving Sharpham mid afternoon, we headed towards Bishopsteignton, via Totnes and Newton Abbot. Being a Saturday, shopping queues hampered our progress and unfortunately we were just too late to meet the owners at Old Walls Vineyard, but did take some snap shots.